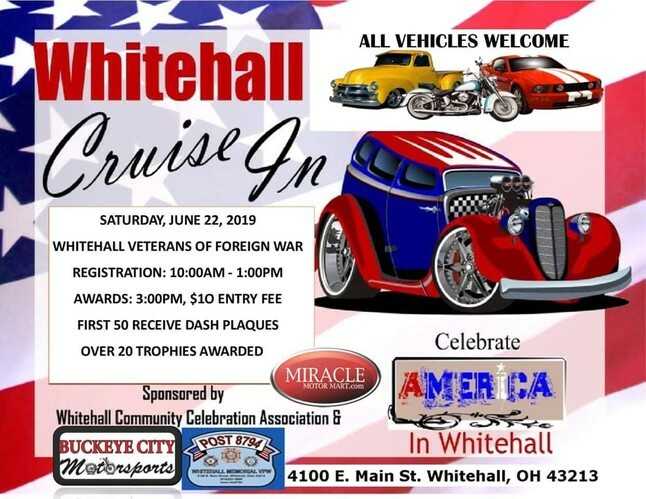 you can go to this Whitehall event or display your late 1960's muscle cars! Friday, June 21 @ Phil Stover's THE MUG in Gahanna, 5pm - ? Our 1969 classmate, Phil Stover, is our host for our Friday reunion! Phil will rope off half of his pub & the outside patio for us Rams. Raffle Prizes, including a Dale Earnhardt race tire. 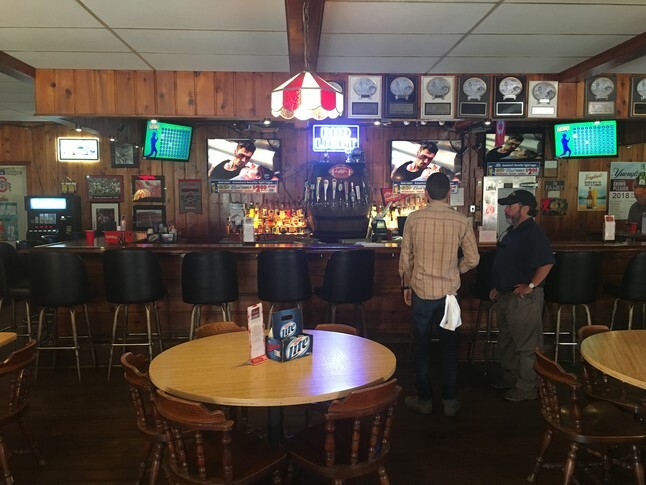 The Mug has a great atmosphere & is the oldest operating pub in Gahanna, 333 Agler Road. It has good drink prices, TVs, Electronic Games & Pool tables. NOTE: After 9pm, the VFW bar (next room) will be open til 12pm for those who still want to party! We'll celebrate our 50th Reunion with our 1969 Classmates in the VFW's Party Room. 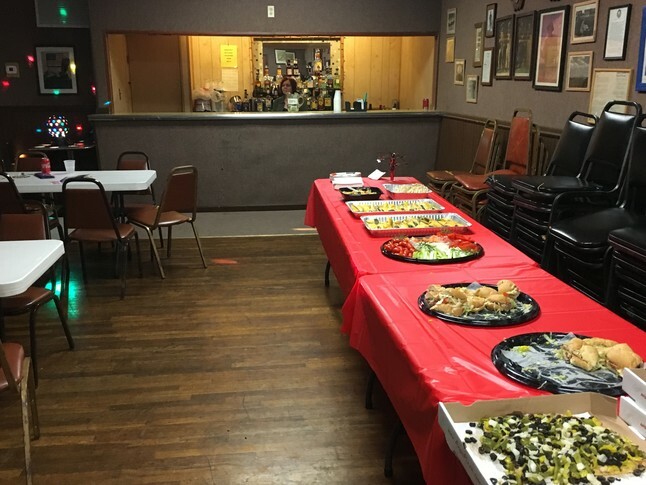 The VFW Party Room is private with a separate bar/bartender & dance floor. We'll have veggies & snacks available. VFW Drinks are inexpensive. 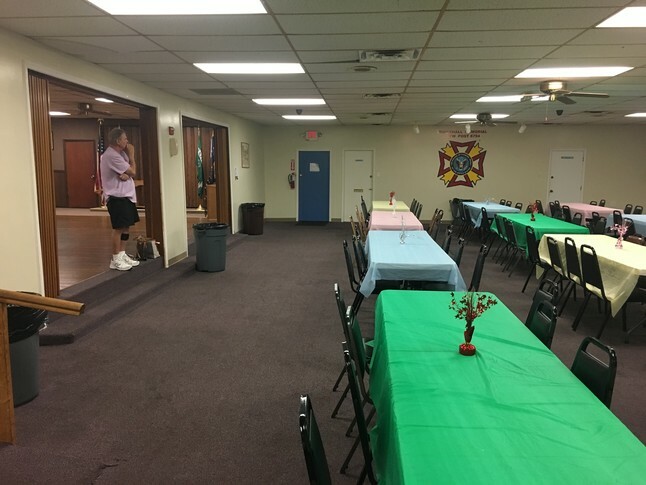 If you want to eat dinner, you can order hamburgers, brats or hotdogs from the VFW kitchen. Or, you can order Massey's or Ange's pizzas to be delivered to the VFW Party Room. We'll have a Class Photo, with prints available several hours later. We'll also have 'In Memory' displays ~ Posters from our WYHS years ~ Reunion Souvenirs. School Memorbilia Table: Please bring your Rosemore & WYHS Yearbooks, Class Photos, School Memorbilia, Programs, Photos, etc. to share with classmates. Raffles Prizes too! Spread the word about our 50th Reunion!